At Quality Log Home Builders, we offer a range of package options for building log cabins and log homes in Eastern and Central North Carolina. This means you’ll know exactly what you’re buying, and you’ll be able to compare us with other log home building companies. Unsure of which package is right for your needs? Contact us today, and we’ll talk you through our process and assist you in your home building decisions. Read on to learn more about the package options we offer for building a log home or log cabin in NC or VA. This option includes everything you need from start to finish for your dream log home or log cabin. Quality Log Home Builders will provide all logs and top-grade materials needed to build your log cabin, and all labor is included. From the basement and foundation to the roof, all interior work, HVAC, and plumbing is done. Upon completion of our work, your log home will be ready for you to move in. A detailed list of work to be performed is provided for each custom log home. With this option, the entire exterior of the home will be completed Note: stain is not included as standard but can be added as an upgrade. All windows and exterior doors are installed, along with the porch railing, unlike competitors that may not provide railing. You also have the option of including the metal or shingles for the roof in the log home kit. This dry-in option allows homeowners to get more involved with the construction process, and save some money as well! Take a look at the MATERIAL LIST for a shell package to learn more. Quality Log Home Builders will provide the logs and siding for your log home, and we will erect the log walls after the floor system is completed. This option allows local contractors to build your log home without having having to worry about erecting the logs. Don’t forget to view our log package labor list to learn more. This option is simple: Quality Log Home Builders will provide the logs and siding with no labor. If you are looking to build the log home or log cabin yourself or have another builder already, this may be all you need. Take a look at our material list for more information about what this package includes. If you have already purchased a log home or log cabin package from another company but need someone to help build your log home, we can help. Whether you only need the logs stacked or you are looking for dry-in or turn key construction, we’ll be glad to work with you. 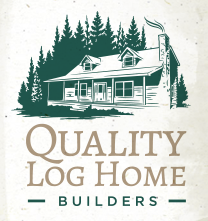 Quality Log Home Builders offers a service plan to maintain the appearance of your log home. With a custom plan for your log home, we’ll check your home from top to bottom for any maintenance needs every year. Whether your window trim needs to be re-caulked, a section of the house has stain damage from the weather, or the log home needs to be sprayed with insecticide to eliminate annoying carpenter bees, we can take care of it all. With us, you’ll never have to worry about maintenance again! 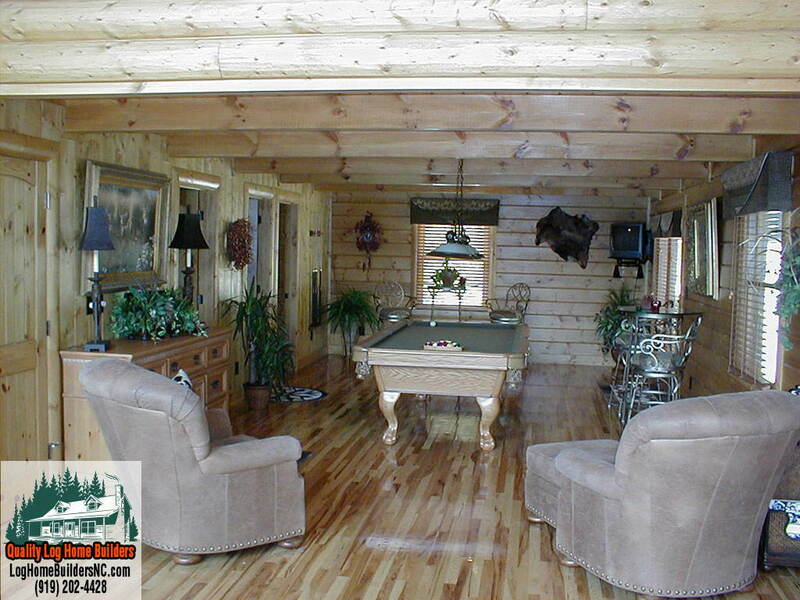 Quality Log Home Builders offers exceptional log homes and log cabins for sale in Eastern and Central North Carolina.